This is another choice for the bar that goes with a lot of different styles. 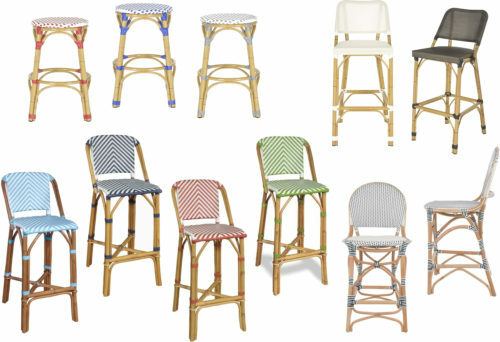 Whether they are made of natural rattan or a synthetic copy, these bar stools mix with so many styles. 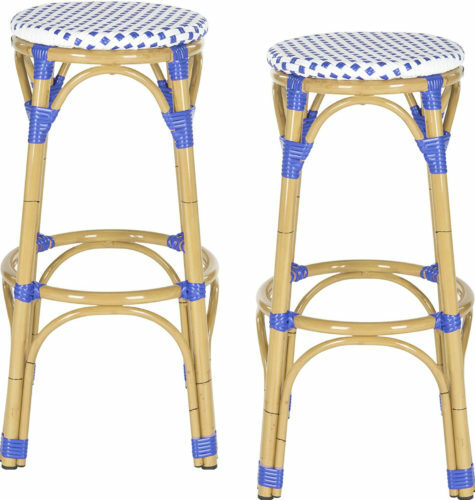 Perfect in a beach house, especially with a woven seat in a bright shade of blue. 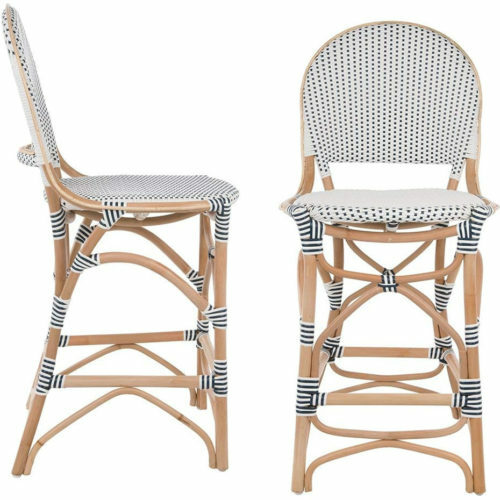 Kipnuk Rattan Bar Stools from Safavieh Home can be used indoors or out. 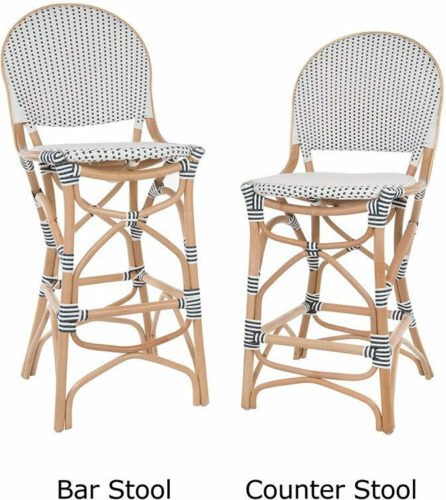 They are made of aluminum finished to look like rattan. The seat is PE Wicker, a wet location rated synthetic material. They are backless, 30” tall and 20 ½” at the widest. They are available in three different colors. 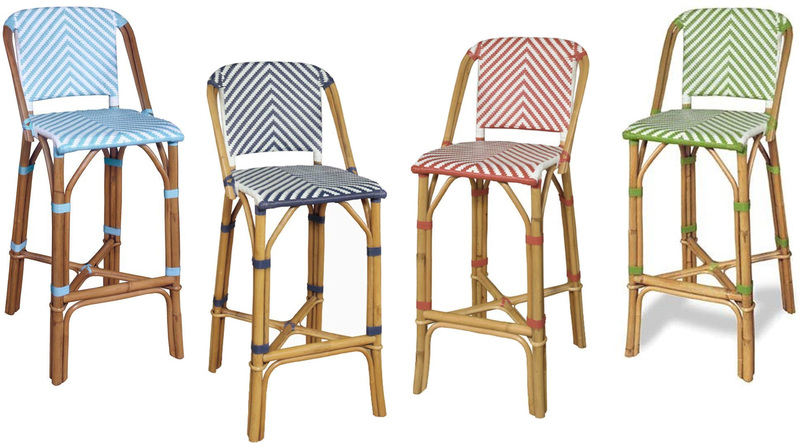 Kipnuk Deltana Bar Stools from Safavieh Home can be used indoors or out. 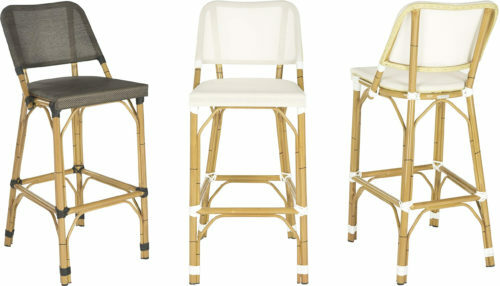 They are also made of aluminum finished to look like rattan. The seat and back are PE Wicker, a wet location rated synthetic material available in light beige or brown. The seat is 30” high. It is 41.3″ to the top of the back. The stool is 20” at the widest. 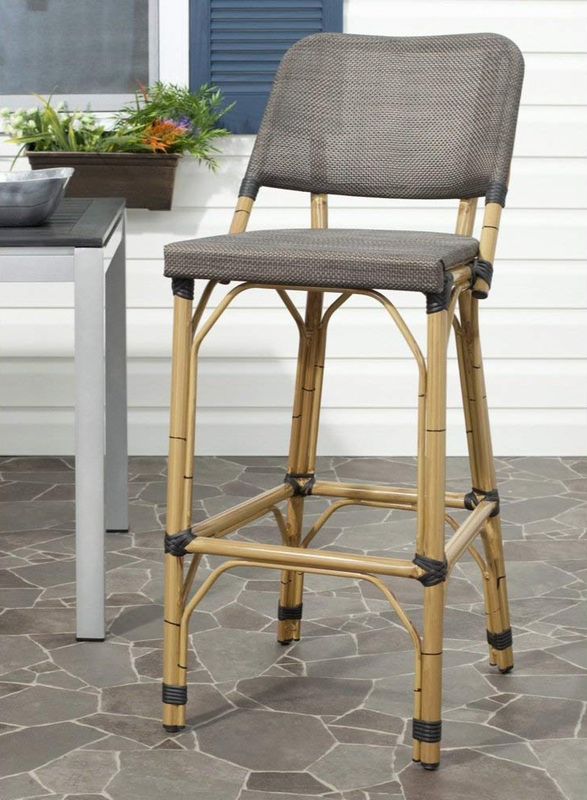 Progressive International Rum Point Bar Stools are designed to look like the traditional Paris Bentwood bar stools. 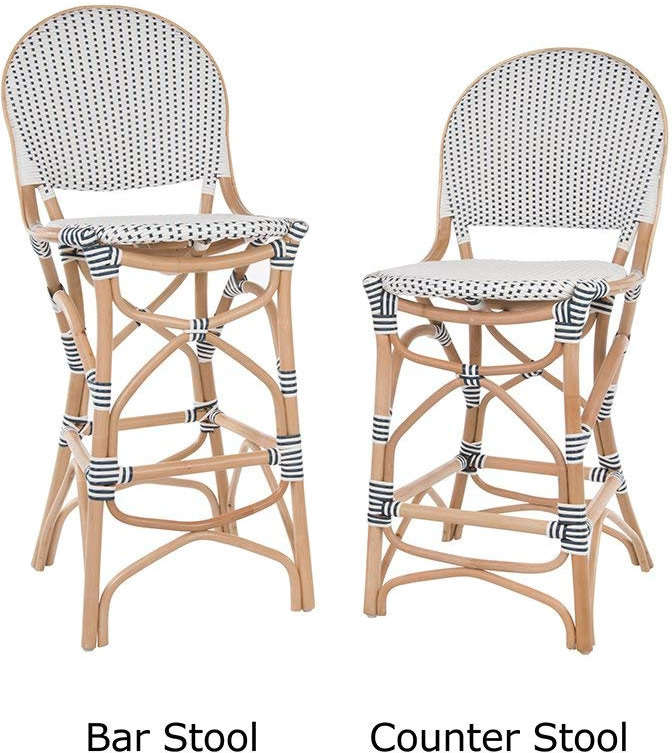 They are made of natural rattan. 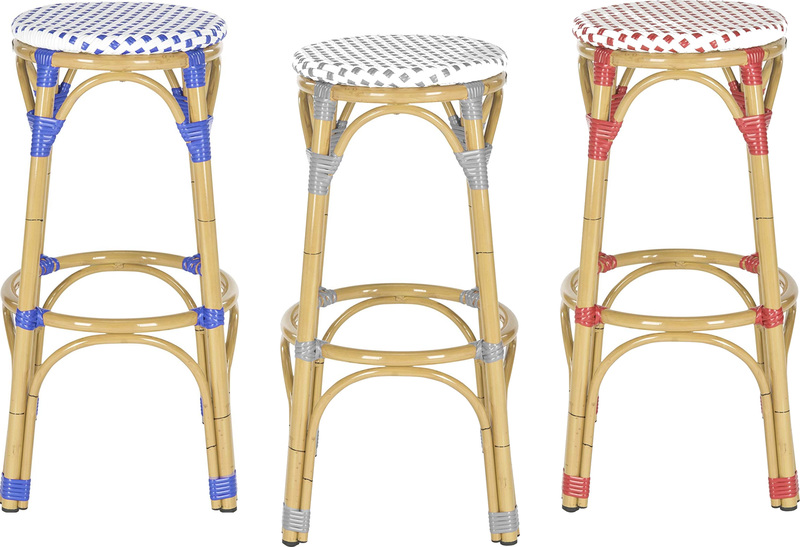 The seat and back are woven with synthetic rattan in navy blue, spa blue, red or pink and white. They are very durable. The seat is 30” high. It is 44″ to the top of the back. The stool is 21” at the widest. The Bistro Kitchen Bar Stool by Kouboo are available in counter height or bar height. 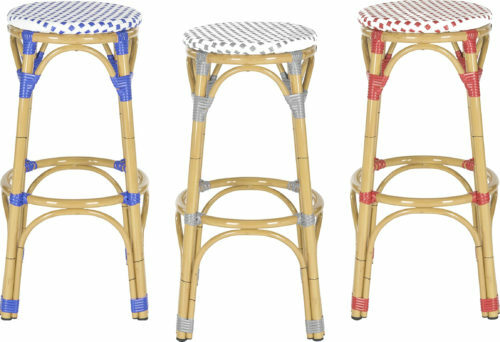 These Stools are handcrafted of natural rattan. The seat and back are woven with polypropylene synthetic rattan in navy blue and white. The seat is 30” high. It is 42 1/2″ to the top of the back. 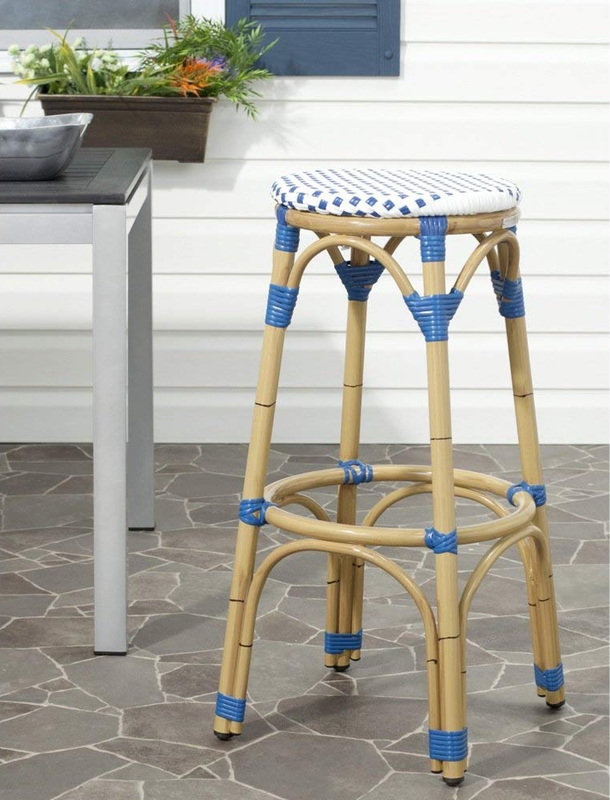 The stool is 23.5” at the widest. 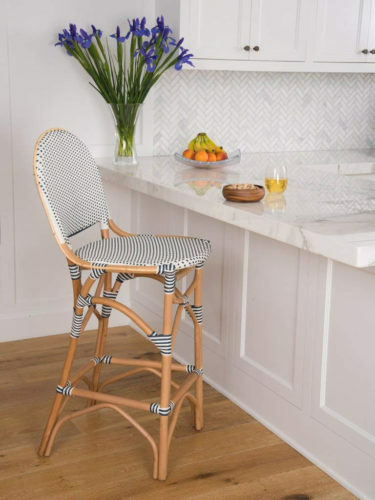 This entry was posted on September 10, 2018, in Bar Stools, Traditional and tagged Blue and White. Bookmark the permalink.